First Real Snow of the Season! Merry Christmas! We finally got some snow!! There was about 4″ of fairly dense snow out at the park this morning with an icy layer from the previous days right on top of the soil. 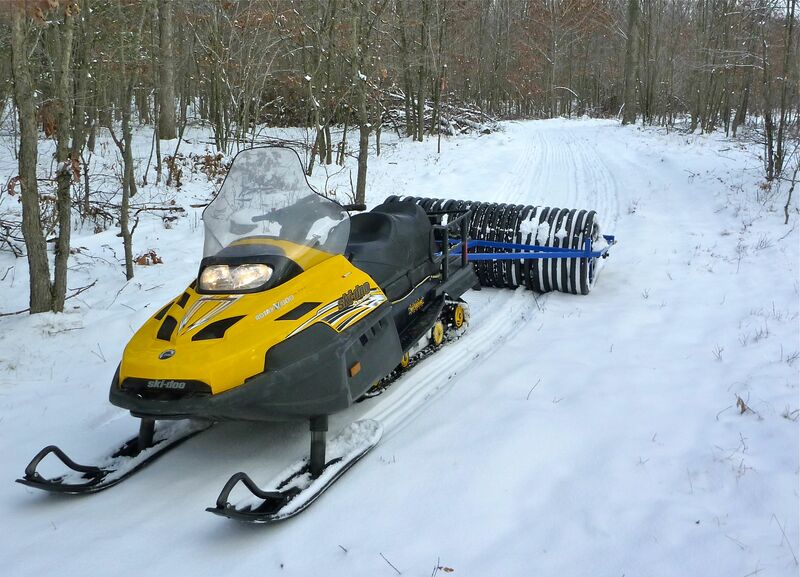 The whole time we have been building this trail system I have wondered how it was going to be to groom. Where some of the corners too tight? 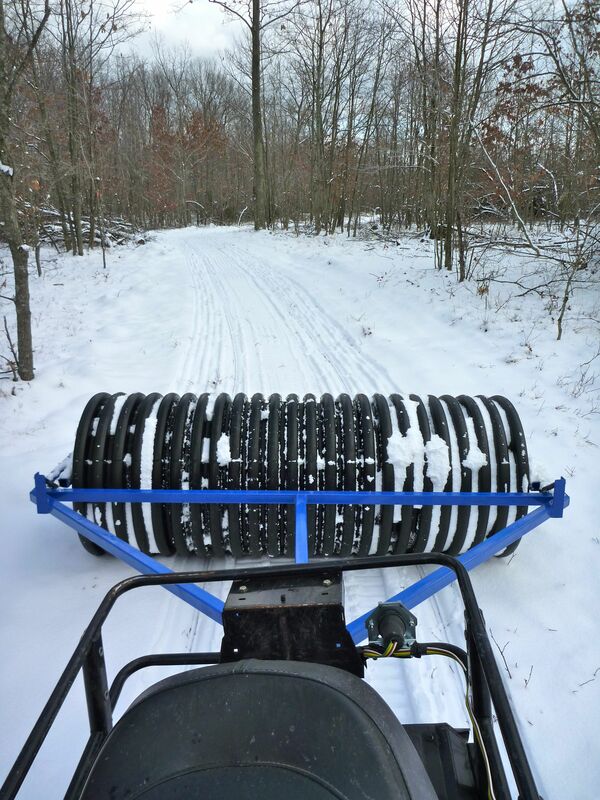 How narrow/wide can the trail be and still groom up nice with our equipment? How bumpy will it be with only a few inches of snow on it? Blah, blah, blah… I was not sure if grooming today was going to help or hurt keeping some base around in the coming week but I knew for sure I could answer some of the questions I have been wondering about all summer! Headed out with the roller and luckily things worked out pretty well! There was plenty of snow and it compacted down to about an inch of fairly solid base. I did a double pass to get the full width of the trail on the east and west loops and a single pass on the north loop. North loop is going to need some TLC because there are some pretty big soil/sod clumps but the other trails rolled really well. On the “main” trail (white trail on the map) there are far fewer twigs popping up so I figured I might as well drop the comb and see how that worked. 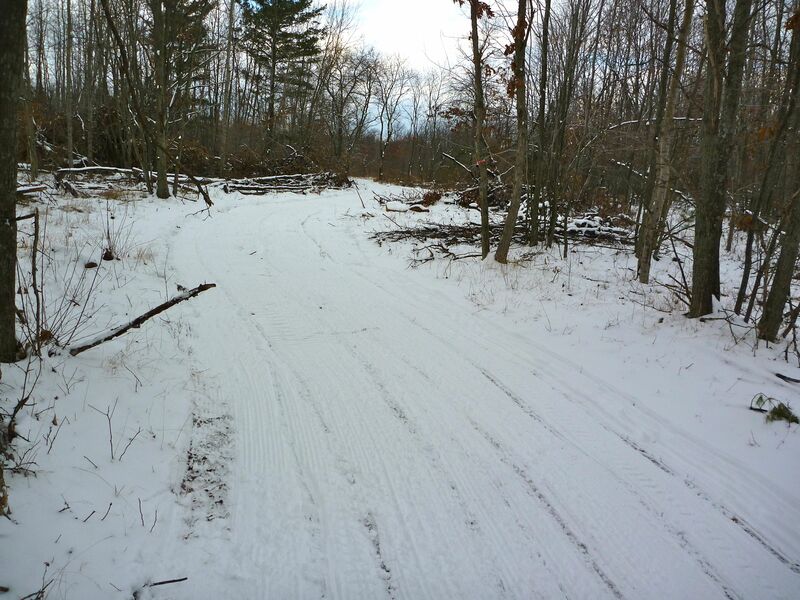 That really nicely smooths out the trail but we need a bit more snow before it is going to make any sense to use it. The good news is that if we get 0.5″ or more tonight and it drops below freezing, there will be at least 0.4 miles of trail that you can ski out and back on and have decent condition. Lets hope for a cold night with some lake effect snow! !